Is thinning hair a cause of concern for you that is giving you sleepless nights? Dull, limp hair with no volume is stuff of many women’s nightmares. While there is no way to induce hair growth overnight, what you could do is to use the right kind of hair products in order to revitalize your thinning hair and make them appear fuller, with more volume. There are many shampoos available which, after a wash give you a nice volume boost and make your hair full of bounce and vibrancy. Let’s take a look at some of the best shampoos for thin hair. The Giovanni Root 66 Max Volume Shampoo is meant for intense damage control and pampering the hair. The shampoo gently cleanses the hair and the scalp and adds a bounce to the hair in the process. Its mango, kiwi fruit, soy protein and aloe vera extracts strengthen your thin and fragile hair with every wash. What’s more, it is even free from sulfates. It is priced at Rs. 495 for 250 ml. The shampoo is made of a fusion of passion flower and pearl and is said to bring back the fullness of the hair with just one wash. It thoroughly cleanses sebum from the scalp and ensures that it strengthens the hair enough for it to fall with a bounce. To top it all, it just smells great! It is priced at Rs. 179 for 300 ml. 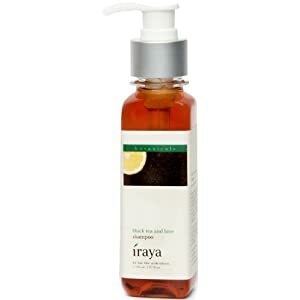 This natural shampoo from Iraya comes with natural lemon, black & green tea and olive oil. It adds a fullness to the hair with every wash. The tea helps in adding s hint of color and gloss to the hair. You can discover shinier hair with every wash of the Iraya Black Tea shampoo. It is priced at Rs. 345 for 150 ml. 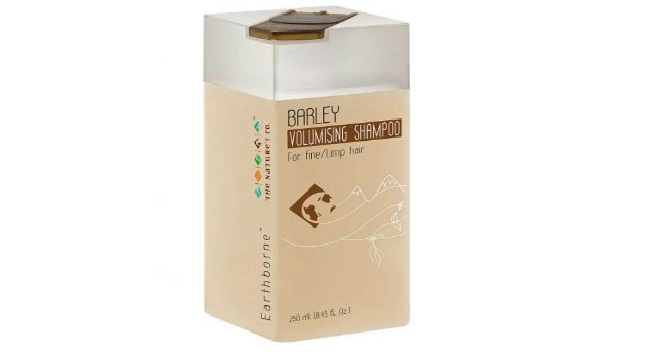 This Nature’s Co shampoo is rich with the extracts and goodness of Barley. The pro-vitamin B5 in the shampoo helps in nourishing the hair and strengthens the hair shaft, from the root to the tip. The antioxidant properties of barley makes sure that it removes the excess oil from the scalp and leaves your hair bouncy. It is priced at Rs. 695 for 250 ml. The shampoo comes with Cassia complex, avocado and grapeseed oil, which help in conditioning the hair, preventing dust and oil. 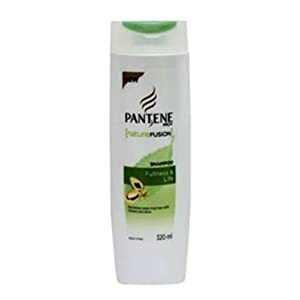 The shampoo helps in restoring the fullness and shine of your hair which is weighed down by external factors like pollution, oil and product build up. The luxurious lather envelopes your tresses and leaves your hair tangle free. It is priced at Rs. 229 for 320 ml. The Schwarzkopf professional volume boost shampoo is especially made for thinning hair to give it an extra volume lift. It contains bamboo extracts, which is a natural fiber with high protein levels, panthenol which balances the hair moisture levels and amino cell rebuild technology which penetrates into the hair to strengthen the hair shaft. It is priced at Rs. 540 for 250 ml. The shampoo is a blend of amla, walnut bark, musk root and soap nut. The walnut bark revitalizes the hair and also helps in building the body of the hair. It cleanses the scalp and keeps the hair oil free for a long time. The shampoo is priced at Rs. 159 for 210 ml.